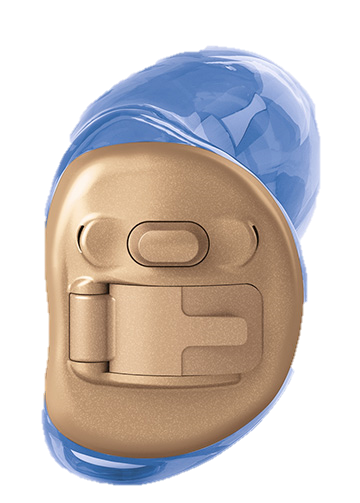 The Streamer Pro is the heart of ConnectLine giving you total control of program shifts and hearing aid volume. More than that it delivers control of all sources of audio-based information, entertainment and communication available to you. 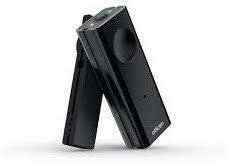 The Oticon Streamer Pro is a small, handy device to help you enjoy conversations on your mobile phone clearly and easily. Thanks to the wireless technology, with this device you can now have a completely hands free conversation on your phone at the push of a button. The Streamer Pro is worn around your neck so you can talk directly into it and the conversation is sent back straight into your hearing aids. The device can be paired with almost all Bluetooth enabled mobile phones so this device is suitable for most Oticon hearing aid users. You don’t even have to pick up your phone as once the devices are paired together you can answer calls by pressing a button on your streamer. The Streamer Pro also has an additional use as a remote control to adjust the basic settings on your hearing aids. 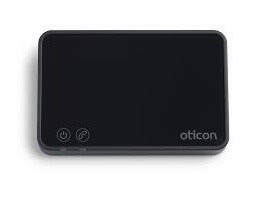 When used with your Oticon Streamer Pro, this device gives you completely hands free connection to your home landline phone. When connected, this device gives you an extremely simple and convenient solution to your telephone needs. Your Streamer Pro essentially turns into a wireless headset device for your landline telephone. When connected, this device alerts you to an incoming call through your hearing aids and the built in microphone in the streamer allows you to talk completely hands free. You don’t even have to get up to answer the call as the streamer has a button that you can press that will do this wirelessly for you. The Connectline TV 2 means you can say goodbye to quarrels over the TV volume. When you connect your hearing aids to this device, it will send the sound from the television straight into your hearing aids. You simply push the audio button on the streamer and you can enjoy a clear and natural sound. The main benefit of this is that you can control the volume you hear using the streamer while everyone else in the room can listen at a volume comfortable for them. You can still use the Connectline Phone while using your TV accessory as you will still hear the alert beep and can choose whether to answer or reject the call. 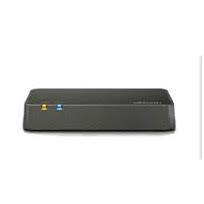 This accessory can also be used to stream the signal from any other devices that have an audio out facility such as laptops or stereos, providing you have the correct cables and connectors. With the Connectline Microphone you never need to worry about conversations in crowded environments again. Many hearing aid users find that a one to one conversation in places like restaurants can be difficult as speech can be lost under the background noise. There are also situations where you may be slightly further away from the other person, making it even more difficult to hear. This is a small and discreet device which can be worn by the person you are speaking to and will pick up the sound of their voice. The signal is then sent via your Streamer into the hearing aids so you hear clearly even in the noisiest situations. To add to your listening clarity, the device also actively filters out background noise. The Microphone is effective up to a distance of 15 metres so you don’t have to sit uncomfortably close to someone to hear what they are saying. This device can be easily charged using either a normal wall socket or a USB mini charger.